Looking through the video clips on our Perimeter Security YouTube Channel recently, we were amazed at the variety of sites that came into view in the clips taken whilst our Technical Director Andy Moon was flying over Stirling. From industrial sites to commercial and manufacturing facilities to schools, reservoirs and ancient monuments, we realized that every type of site came under the 'umbrella' for perimeter security protection. One notable, well known landmark captured on film is the viaduct at Castlecary which carries the Glasgow to Edinburgh railway over the A80/M80. Referred to by locals as the Castlecary Railway Arches it reminded us of a challenging case we were presented some years ago by Dutch Rail. Dutch Rail contacted us to see if we could assist with a major theft problem they had been experiencing. Some of their maintenance transport carried big drums of copper wire. valued at tens of thousands of dollars and whilst standing in the rail yard when no maintenance work was being done, thieves were entering without authorisation and unwinding the valuable copper from the drums. Having transferred it to their own transport, they then took it away to sell on the open scrap metal market. Easy money! Andy set to work on assessing the possibilities of a solution and came up with the answer. The installation of our Flexiguard™ intruder detection technology in tandem with a Mobile Detection System which we designed specifically for use by Dutch Rail. Needless to say, after the installation of our detection and monitoring system the thefts stopped. If you would like to read the technical details of the project please visit our security case studies page. 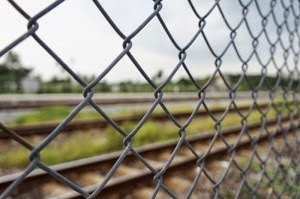 We provide perimeter security and detection systems for other sectors of the transportation industry as well including rail head security and security for haulage contracators.